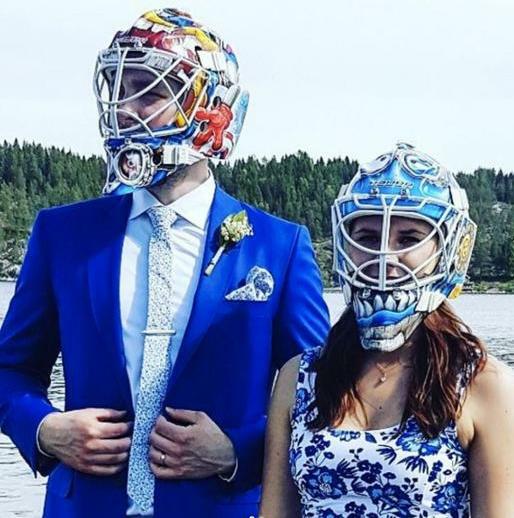 Sabres' backstop Linus Ullmark and his new wife posed for wedding photos in goalie masks. This is one night when a goaltender needs to be more stand-up than flopper. Hahaha. Great line, RJ. On my wedding night I was pretty drunk. Definitely a flopper. I timed this one. Took 20 seconds to post after I hit publish. 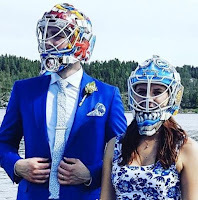 I imagine a lot of grooms are floppers after all the celebrating.